The two young men who sanitized my basement were friendly and made sure that everything was thoroughly cleaned. I was very pleased with the outcome. Justin has been working for ServiceMaster by Wills since 2009. After graduating from Gordon College with a business degree, he worked in the investment community in Greenwich, CT before beginning his career at ServiceMaster. He started as a management trainee as a water and fire technician. Over the years he has been certified in water and fire damage restoration, odor control, mold remediation, and lead remediation. 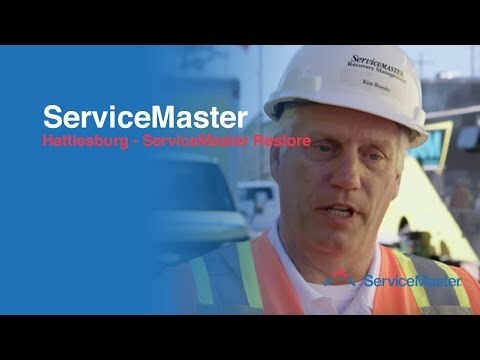 Justin is now the Senior Project Manager for ServiceMaster Recovery Management division. Justin's experience broadened after working several large projects including Cathedral High School after the Springfield, MA tornadoes, Yum Brands, Inc. in Bangkok, Thailand, the USS Miami nuclear sub fire in Maine, Madeleine Chocolate Factory after Super Storm Sandy, and the 2013 Alberta, Canada flooding. When not traveling abroad, Justin has had a key role coordinating multiple church and school restoration projects in New York City and throughout the Northeast.